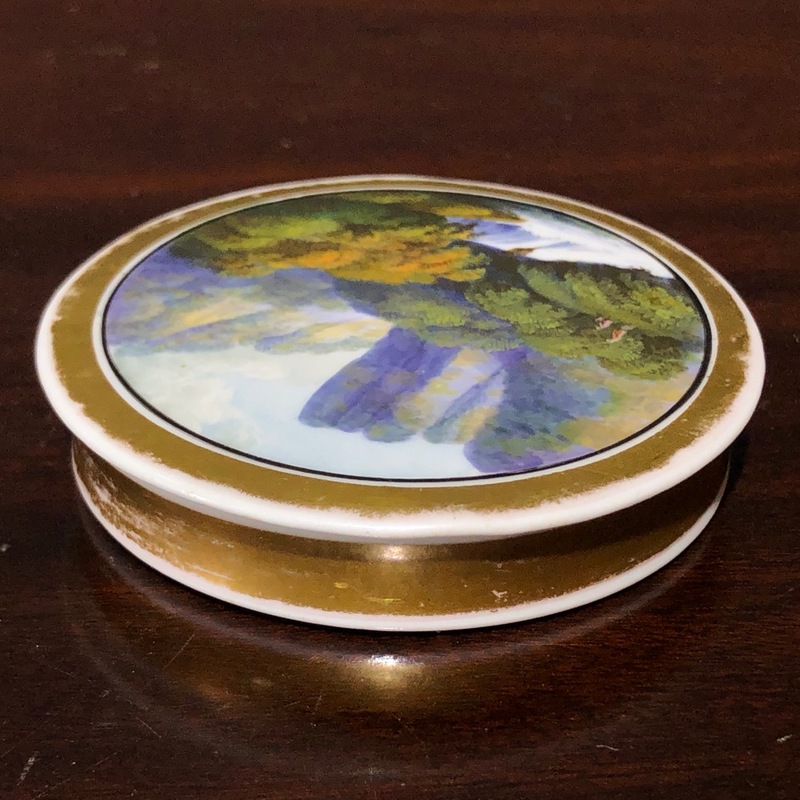 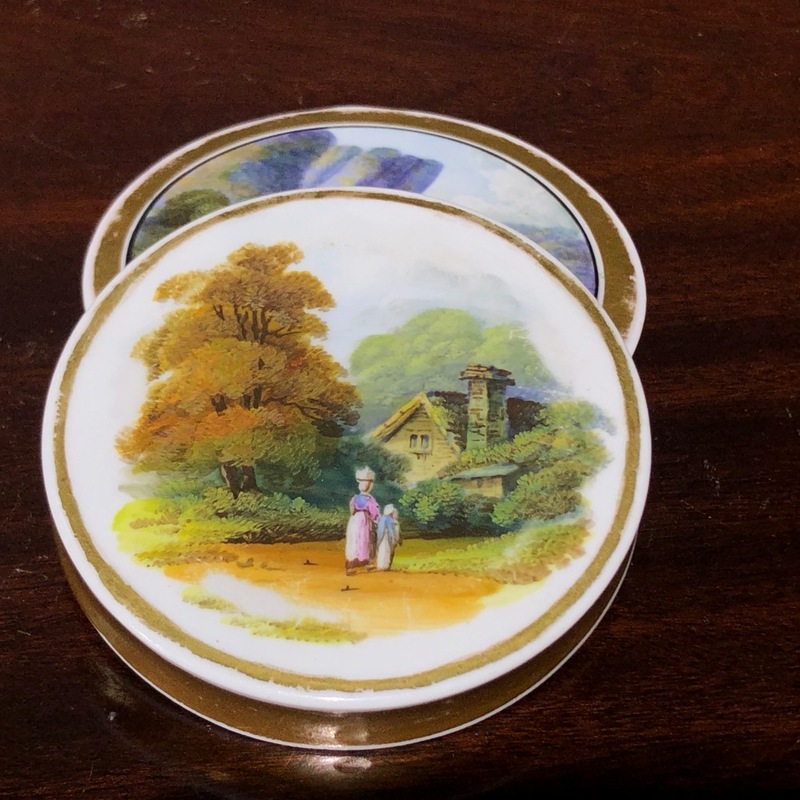 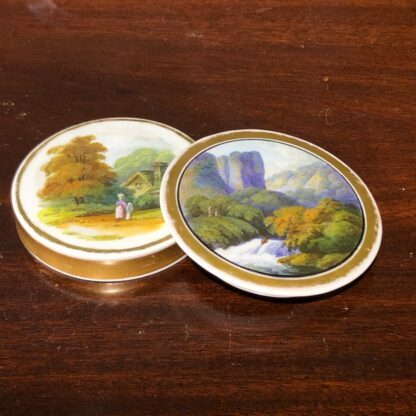 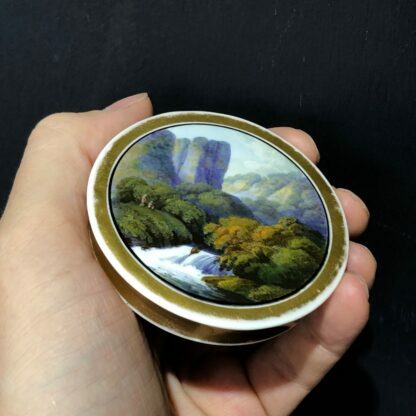 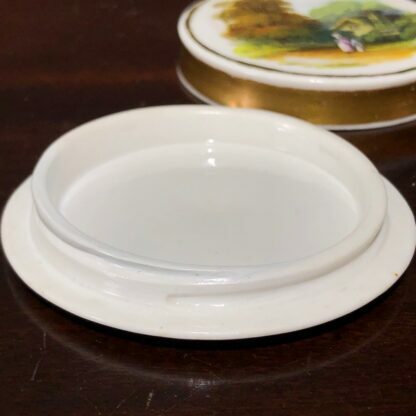 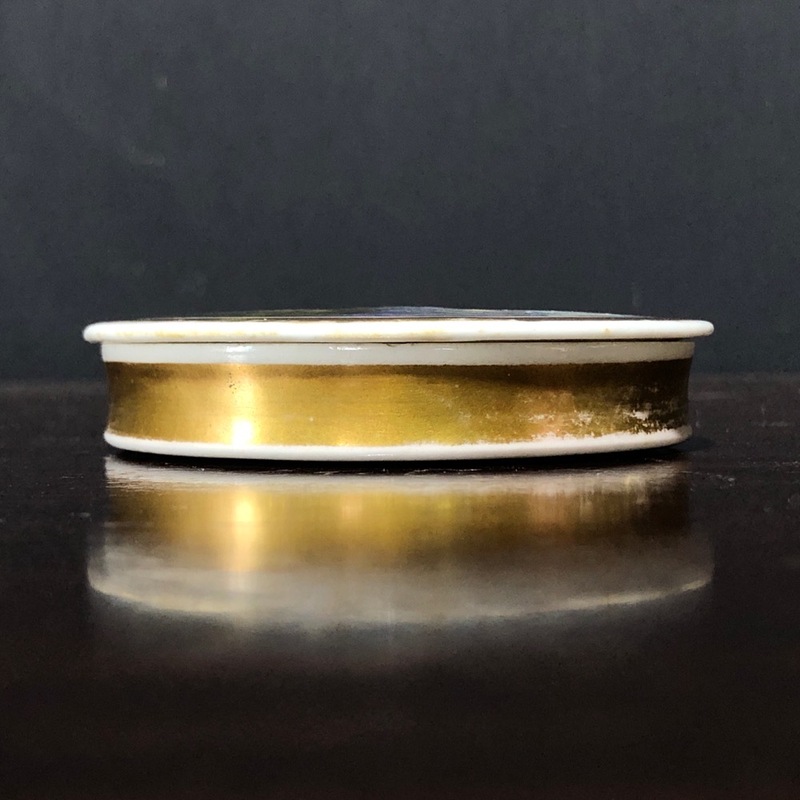 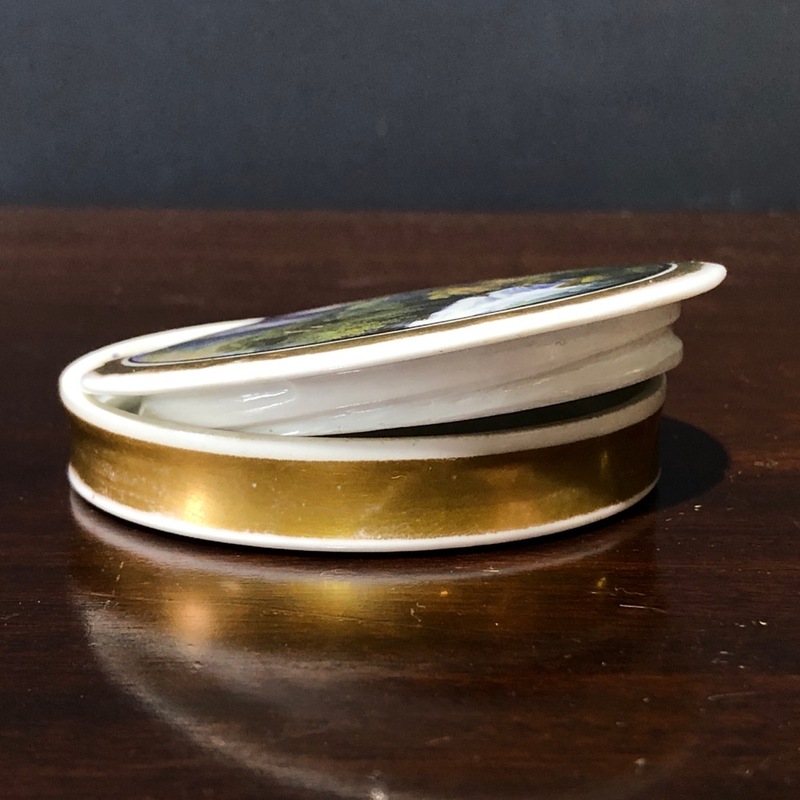 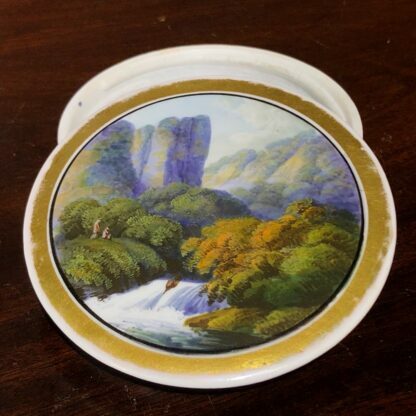 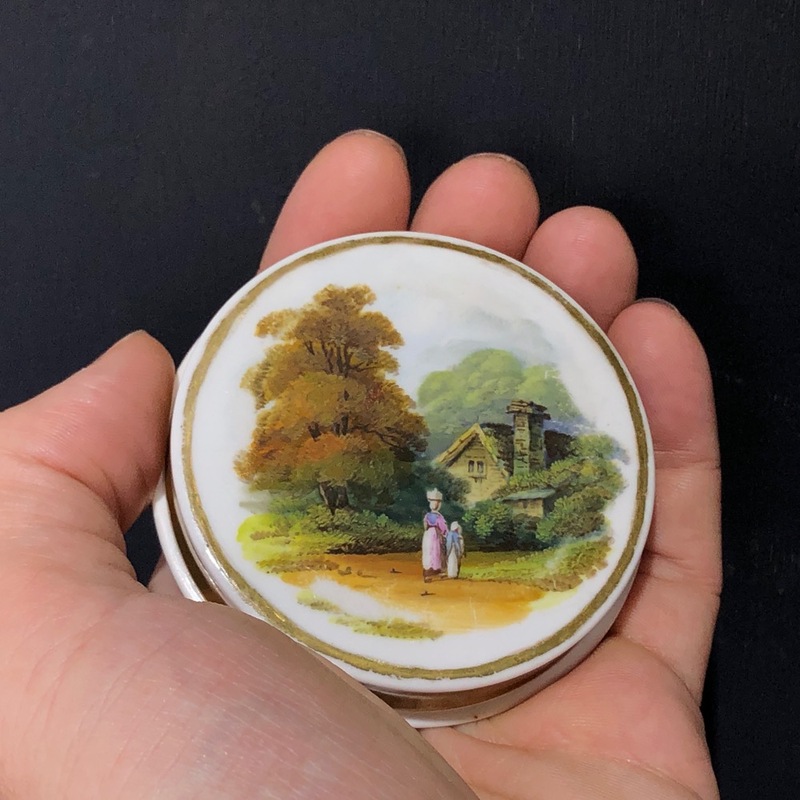 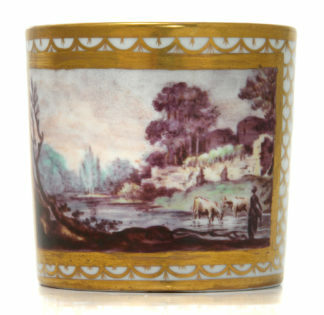 Very rare Rockingham snuff box, of simple circular form with porcelain screw thread, superbly painted to both sides by William Willis Bailey with figures in Romantic landscapes, the top with figures by a waterfall, the base with a woman & child by a cottage. Minor wear, interior screw thread with slight restoration. ref. 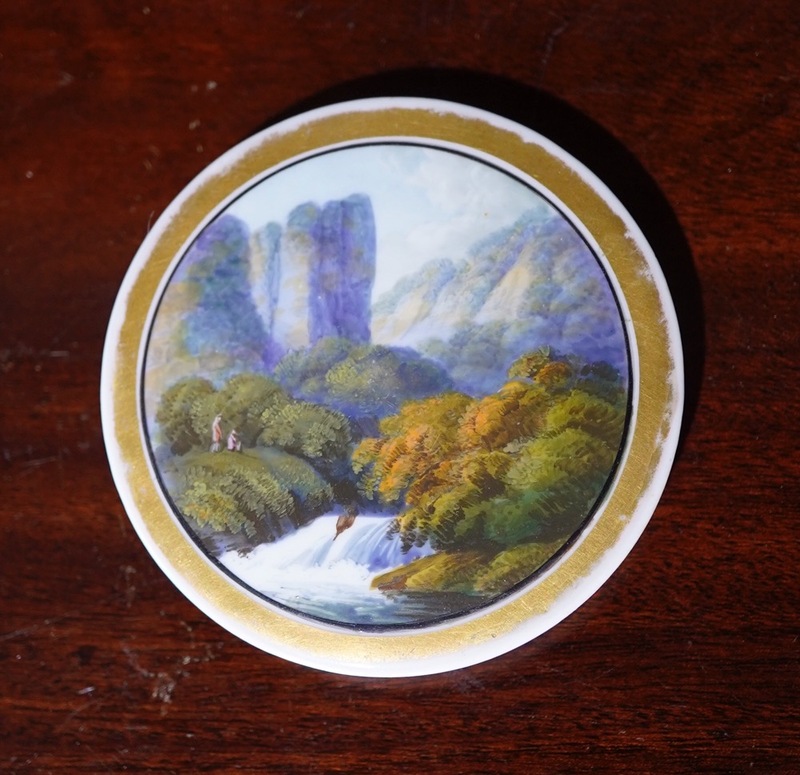 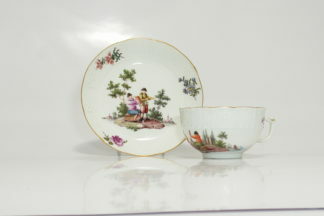 Cox, 'Rockingham' p352 for an example in the Rotherham Museum (important because it bears Brameld's signature,) and p353 for a plaque with similar scene signed by W. W. Bailey, circa 1835. 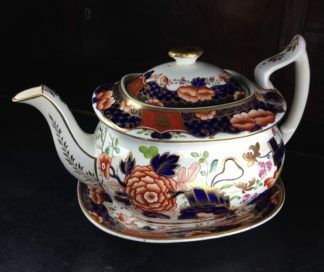 Bailey was one of Rockingham's best artists, and appears on the work lists between 1828-31. He is recorded as working on the important William IV service in 1832, but in 1833, he is described as an independent decorator in nearby Wath-upon-Dearne. 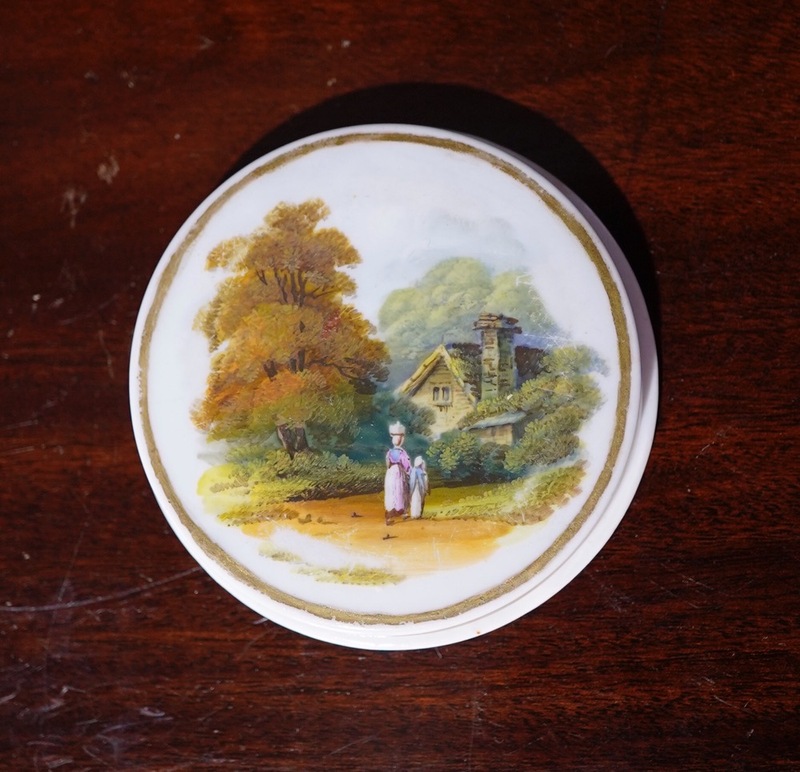 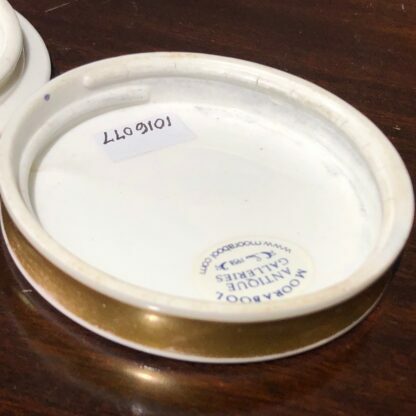 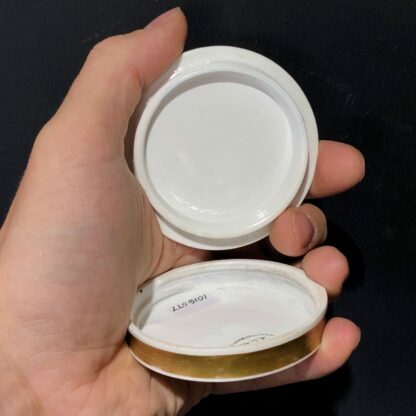 The lack of a mark on this box would suggest it belongs to this period, where he was buying pieces in the white and decorating them for himself.